Google in its I/O 2017 Developer Conference announced that it will now officially base its Android App Development process on Kotlin – the language developed by the JetBrains team of programmers based in Russia. The features that Kotlin comes powered with – Interoperability with Java, Conciseness, and Android Studio support – were enough for Google to validate the language’s position in the world on Android Application Development Industry, something that the tech giant continued to highlight in I/O 2018 by scheduling sessions on the Android new programming language. Just days after the announcement of Kotlin becoming the official language of Android at the I/O 2017 developer conference, the programming language found itself in the list of top programming languages that will define 2018. Between 2017 and mid of 2018 (the present time) the language has seen an exponential rise in demand from both developers and businesses. The realm report that surveys mobile app developers globally also found that 20% of the Android apps that were built on Java before the Google I/O 2017 conference, were then migrated on Kotlin. 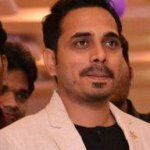 A movement that has brought in a surge in demand for Kotlin developers. In the October of 2017, we covered Kotlin in depth in one of our blogs, head on there to read the article where we dissected Kotlin and highlighted ways it is better than most of the other programming languages. Taking what was started by Kotlin in 2017 forward, the Android industry in the present day is staring at the mass adoption of the language, with the portfolio comprising of a number of hot-shot brand names. 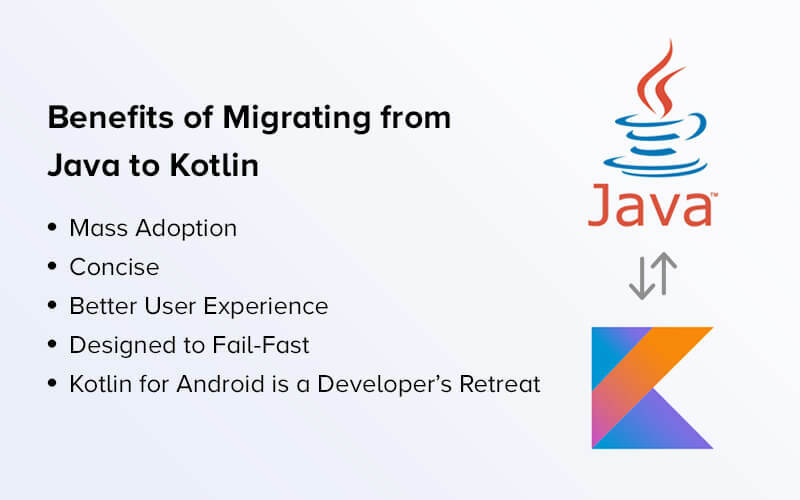 In this article, we will be looking at 14 such brands that have adopted Kotlin by migrating from Java to give you an idea of why it’s time for you to follow the lead to. 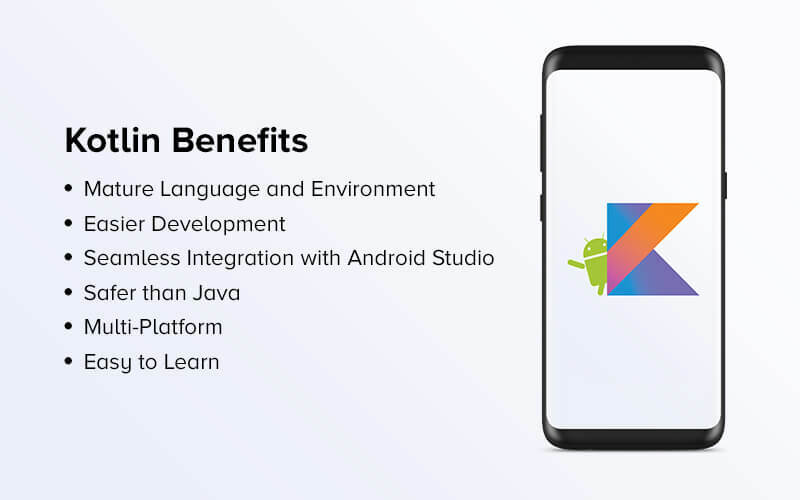 But before that, here are the business benefits that you can take advantage of by choosing Kotlin for your next Android App project. Kotlin is a lot more Concise than Java, meaning it can solve more problems with fewer lines of code. It means that the engineers can read and change the code much efficiently. There are a number of features that come associated with Kotlin, which make the language more concise – Smart Casts, Data Classes, Properties, and Type Interface. Kotlin code is a lot safer than the Java code as it averts the common programming mistakes in design, which results in lesser application crashes and system failures. Also, since Kotlin works on a fail-fast system, any issue that can lead to failure are reported instantly. The fail-fast compiler that Kotlin comes with searches for bugs and prevent them from coming again. Android app development done using Kotlin calls for a lot less number of code lines as compared to Java, which ultimately not just saves the development time but also the app maintenance time and efforts. Apart from these Business Benefits, there are a number of advantages that come associated with Android Kotlin. Seeing these myriads of benefits that Kotlin Android App bring with themselves, the Android mobile app development industry has now eventually started moving to the adoption of Kotlin Programming Language. A move that has been bringing about a transition from Java to Kotlin. Kotlin Developers that have made the switch from Java to Kotlin have realized a series of benefits that have also become the reasons why it is time for the Android App Development Industry to start making the switch. Why is the Android App Development Industry Moving from Java to Android’s New Programming Language? Even though Kotlin – the new language for Android Apps is a new entrant in the industry, there are a number of companies – established and new alike – that have migrated from Java to Kotlin to take advantage of the benefits that the language comes with. Kotlin Android Apps are very concise. The resulting code of a Kotlin programming language reduces the total number of boilerplate codes, which enhances productivity to a great extent. Also, there is a lot less room of error, while the resulting code is a lot safer and reliable. Kotlin programming language makes your app a lot more stable by removing the bugs and reducing the instances of app crashes. And when your app is launched with these issue missing, the user experience only enhances. This time around, Google has brought changes in its new programming language for Android Apps. They have made Kotlin fail-fast. A fail-fast system immediately reports any issue in coding that is most likely going to lead to failure. When a problem emerges, the fail-fast system fails immediately, making it impossible for the Kotlin developers to move ahead with the mobile app development process. Kotlin programming language makes Android App Development process a breeze for the developers. The language is both – easy to use and comes with the support of a strong community of Android app developers. All these benefits cumulatively have resulted in the making Kotlin the answer to ‘What programming language are Android Apps Written In’. The adoption rate of Kotlin is so much so that the probability that one of the Android apps that you are using are made using Kotlin is extremely high. The popular photo-sharing app, Pinterest is one of the biggest names that have used Kotlin for Android App Development. The brand officially moved from Java to Kotlin and showcased the benefits of the move at Droidcon NYC 2016. The on-demand food delivery app also recently shifted to Kotlin for its Android version of the mobile app. The reason for this switch from Java to Kotlin can be attributed to the fact that the language is famous for supporting high scalability and is known to be engineered around a fail-fast mechanism. The note-taking and task organization app also have integrated Kotlin in their Android client. Corda, the open source blockchain project that helps Blockchain developers create interoperable blockchain networks is also based entirely on Kotlin. The world-renowned online courses app is partially based on Kotlin as well. The app has millions of active users who use the platform to take courses on a range of different topics. The global leader in on-demand commutation market, Uber uses Kotlin for Internal Tooling processes such as annotation processors and Gradle plugins. While Trello is not planning to do a full code conversion of the old codebase, the new code that they are using is made using Kotlin. Since there is great interoperability between Java and Kotlin, the brand is able to work with both. Basecamp developers have admitted witnessing a huge difference in code quality and speed ever since they made the switch from Java to Kotlin. Twidere is a full feature open source Twitter client app that customizes the theme, manages the unlimited accounts, and filters unwanted tweets. Developed in Kotlin, the app has been able to bag 100,000+ install rate because of its smooth performance. The secure cross-platform socks5 proxy helps user surf the internet securely and privately. The app with 1,000,000+ downloads on the Play Store is made entirely on Kotlin. The ad-free fully open source calendar app is also made entirely on Kotlin. The app helps musicians, artists, designers, filmmakers, and other creatives find all the resources and the support that they would need to convert their ideas into a reality. With thousands of active users, the app is powered by Kotlin. Ever since Kotlin was approved by Square for their Android Applications, the payment platform has become the evangelists of Kotlin for Android. Gradle is the custom build tool that is used for developing the android packages (apk files) by providing the custom build logic and managing dependencies. And recently, Gradle introduced Kotlin as the language for writing the build scripts in. Since Kotlin gives support for both IDEA and Eclipse, Android’s new programming language gives the Gradle users full IDE support for refactoring to autocompletion and everything in between. Get your app’s name added in the list, get in touch with our team of Android Kotlin experts, today. 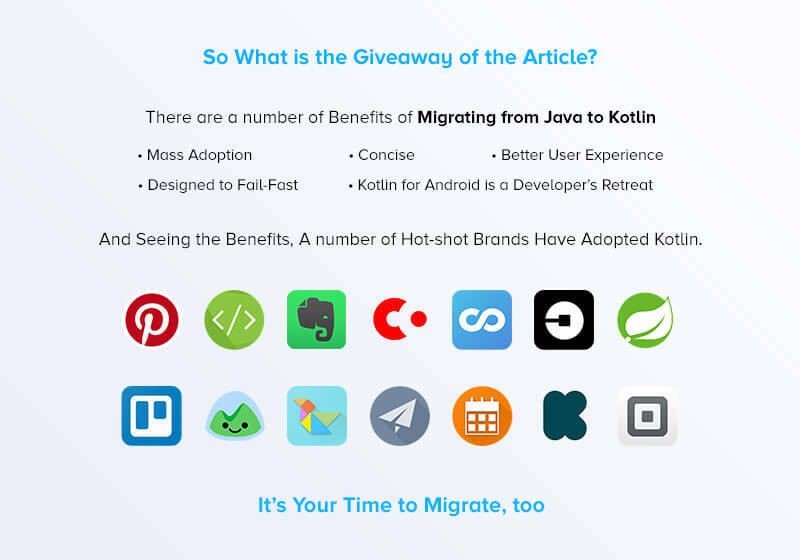 Now that we have looked at the benefits that come attached with developing an app through Kotlin and how their a number of hot-shot apps that are benefitting from this association, we have come to the end of the article where we will talk about the pointers that you should look out for BEFORE you plan to join the league of those famous apps by migrating to Kotlin. What Do You Need to Know Before Migrating Your Java App to Kotlin? A. Is your team ready to make the switch? Shifting the development method from one programming language to another comes with a learnability curve. So, before you make the switch, ensure that your team is willing to support this journey of yours. B. Is your app architecture made of loosely coupled components? When you make a change in the programming language, it can result into deletion, creation, and merging of some artifacts and classes that make your architecture a mess. And the more loosely coupled your app components, the more difficult it would be to make changes and then test them. Once you have ensured that both the pointers are in place, you no more have a reason to not make the switch from Java to Kotlin, like the app industry’s top leaders did.